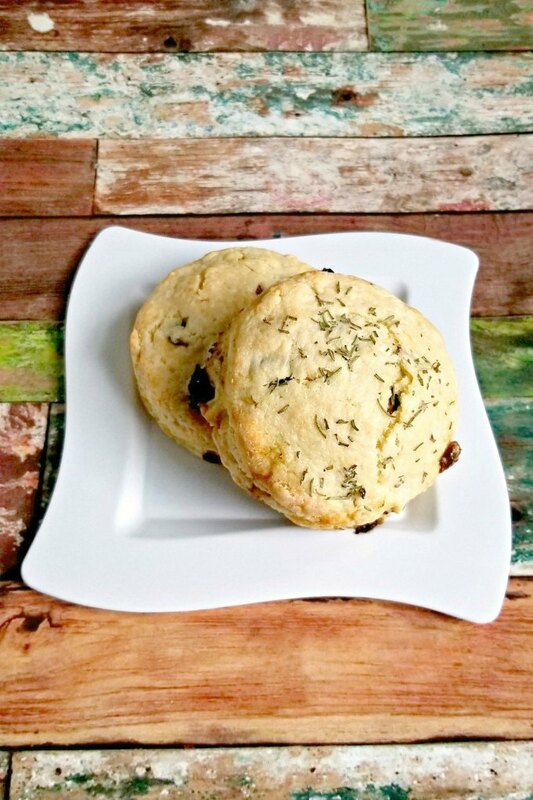 Cranberry White Chocolate Rosemary Scones are packed with flavor, as you imagine. The tart, dried cranberries are offset by the slightly sweet flavor of the white chocolate and touch of sugar in these scones. The unexpected rosemary is not overpowering and truly makes these smell and taste amazing. I was going to say I can’t believe #CranberryWeek is over, but since I only shared two recipes for this event, I really believe it’s over. I had intended to share one more, but it was a total disaster. It tasted good, but definitely not blog worthy. I will just have to try that one again. Stay tuned! This year I participated in a chocolate event. It was fun, but the best part was the chocolate I signed up to receive for the event. It was a craft chocolate made by hand that I had never heard of before. Forte chocolate sent me three flavors of bars. I received their milk chocolate, fireweed honey, and their rosemary and sea salt. I made the most interesting some shirt steak tacos with chocolate picada sauce for that event using their milk chocolate. It was delicious and interesting all at the same time. Of course, like I said in that post I still want to make the sauce in a different way. But that’s later. Now, the rosemary and sea salt was in white chocolate which I’m not typically fond. Heck, I’m not very fond of milk chocolate either, but theirs was pretty darned good! For me, both of those types of chocolate are too sweet for me. I will say, though, that their milk chocolate has more flavor than others I’ve tasted. It was a pleasant surprise to bite into and feel the silky smooth chocolate flavor that wasn’t overpoweringly sweet. But, I’m still a dark chocolate fan! Give me a good 70 or 80% dark and I’m a happy girl. However, when I was planning for #CranberryWeek I thought the rosemary and white chocolate would be a great pairing with dried cranberries. They would offset each other with their sweet and tart flavors. And I was right, of course! Okay, I really should have cleaned that one up a bit and removed the extra crusty bits of heavy cream that pooled and baked on the pan around the scone. I was lazy. Just remove those if that happens to you. I baked these in record time and just forgot that was on there when I photographed them the next day. So, short story. I’m seeing a physical therapist again. It’s past due. Not only do I have the knee issue in the one knee, but it’s creeping into the other knee, too. And, to add insult to injury, I have tendinitis in my right heel. Finally, as if that all wasn’t enough to deal with already, I tripped and face planted into a really sharp curb. All my weight pretty much came smacking down on the right leg. Yes, I am a mess thank you for pointing that out to me! I started the PT before the fall, of course. So they’re helping with that issue along with ALL the others I have going on. They are working through all the soreness and tension I have in my muscles on both legs before really digging in a strengthening the legs. So much tenderness and soreness. Sometimes they hit a spot and I just want to pee it hurts so bad. I chat with them while they’re inflicting pain on my muscles. I told them I’m a food blogger and I want to make scones. The PT was asking me about how long they take, what do I use, is my butter hard or soft. She then went on to chat about remembering she made them once and they took a long time for some reason. I said they shouldn’t! They’re like biscuits. They come together in a flash. 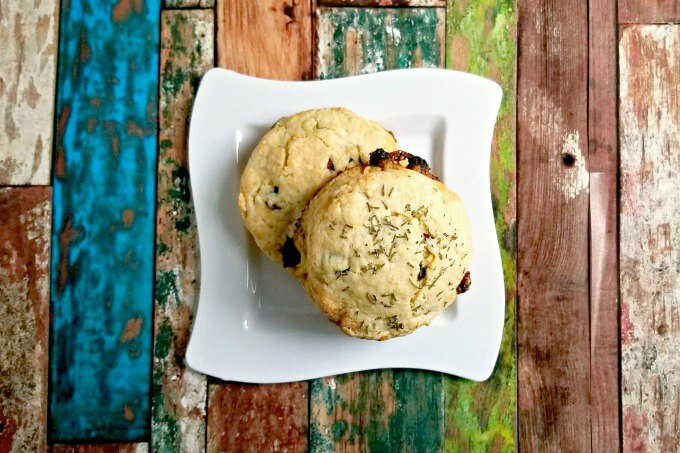 Just like these scones! I turned the oven on when I got home. Served up some dinner, then hopped back into the kitchen to measure my ingredients. Then off I went! All in all, from start to finish it took me about 15 minutes to make the dough and another 15 minutes to bake the scones. I turned the oven on when I got home. Served up some dinner, then hopped back into the kitchen to measure my ingredients. Then off I went! All in all, from start to finish it took me about 15 minutes to make the dough and another 15 minutes to bake the scones. This recipe is based on a biscuit recipe I shared recently. I increased the flour, upped the buttermilk, and added some sugar. Because, the main difference between scones and biscuits is the moisture, from what I gather. Scones are more dry because you slather them with clotted cream and preserves. And these delicious cranberry white chocolate rosemary scones are definitely worth of some butter and jam or clotted cream and jam. Or, if you’re like me, you just top them with a little salted caramel ice cream and have one for dessert. Don’t scoff. It was DE-licious!! I hope you have enjoyed the recipes shared this week. And I hope that you have a new found love and admiration for that little red, tart berry. It’s more than just for cranberry sauce or juice. Even if you all you have is juice and sauce, you can still make something delicious. Combine flour with the sugar, salt, baking powder, and baking soda. Stir with a whisk to combine. Cut in the butter with a pastry blender or two knives until mixture resembles a coarse meal. Stir in the cranberries and the chocolate. Make a well in the center and add the buttermilk. Stir until the mixtures begins to form a shaggy dough. Turn the dough out on to a floured work surface. Pat the dough into a 1 inch thick round. Cut into wedges or use a biscuit cutter and cut into rounds. Bake at 400 for 15 to 20 minutes. I’m excited to be sharing this recipe as part of Cranberry Week – now in it’s third year! See all the tasty cranberry recipes shared today below and follow #cranberryweek on social media for more ideas all week long. I had some white chocolate infused with rosemary for Choctoberfest- it was wildly delicious. I’ll have to get more so I can make this! That’s what I used. However, you could use white chocolate chips and a little fresh rosemary. What a fantastic flavor combo! They sound delish! These sound really good. 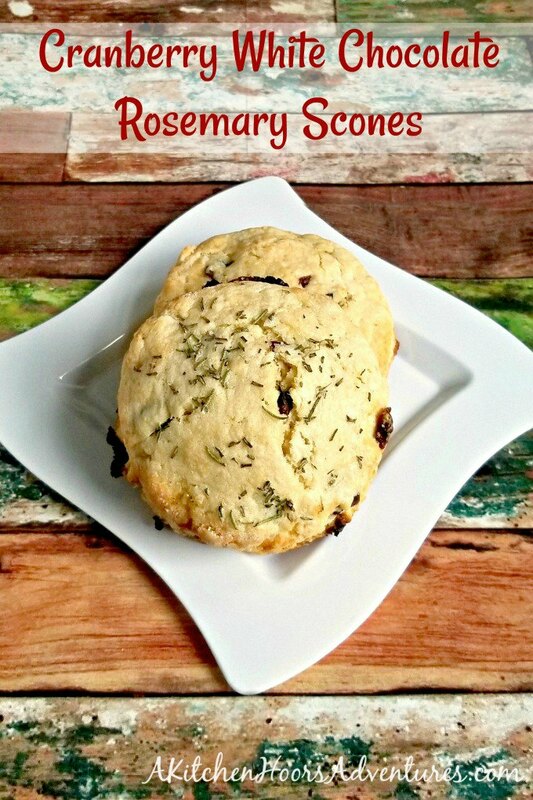 The rosemary sounds so fabulous in these sweet scones! Even the hubs ate a couple of them, which is saying something. It’s the perfect amount of rosemary flavor, too.